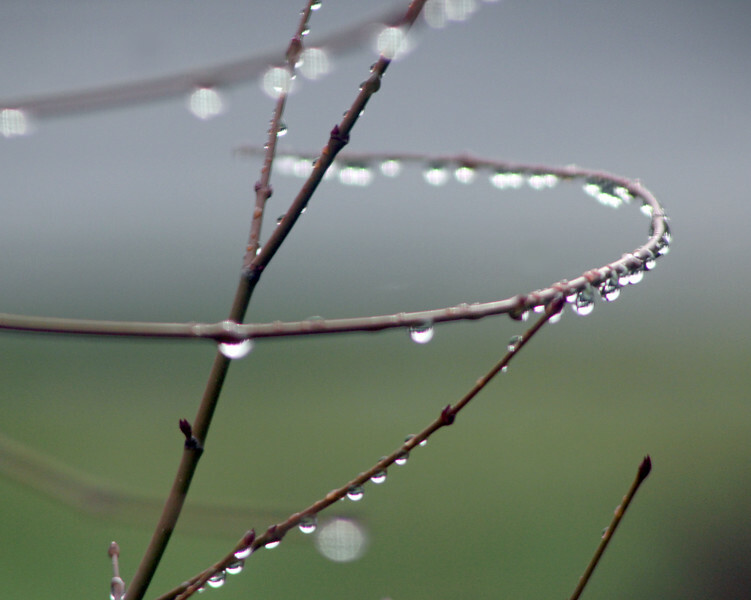 Looking through the bathroom window, I noticed the raindrops clinging to the leafless maple tree. I shot this with a telephoto lens and low aperture to blur the street and lawn and to create the backdrop. I like the circular branch that gives movement.